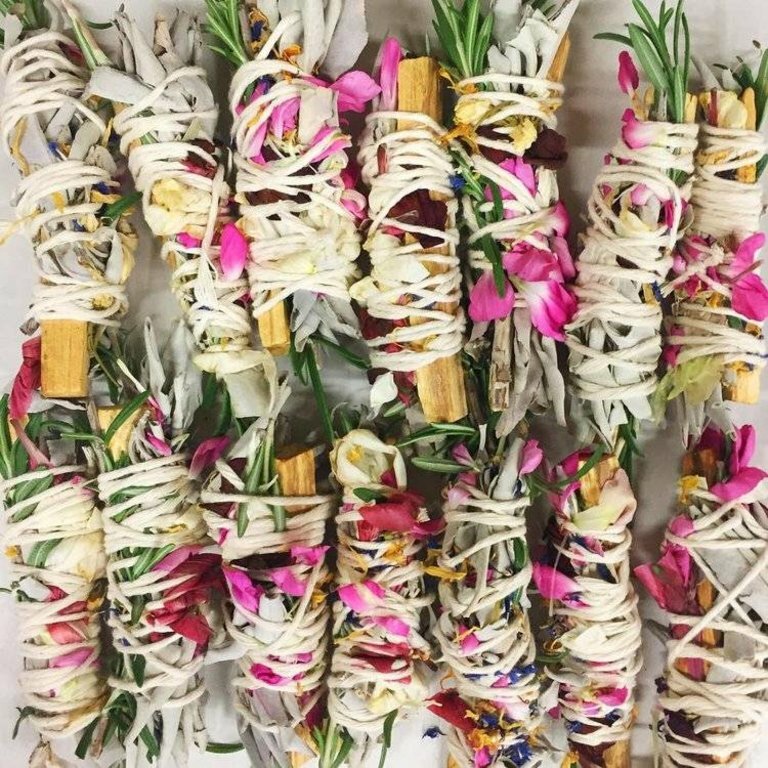 These Smudge Bundles include ethically-sourced, wild palo santo wood, organic sage, organic rosemary, wild flowers and lavender, all wrapped in white, organic cotton string! These Smudge Bundles include ethically-sourced, wild palo santo wood, organic sage, organic rosemary, wild flowers and lavender, all wrapped in white, organic cotton string! 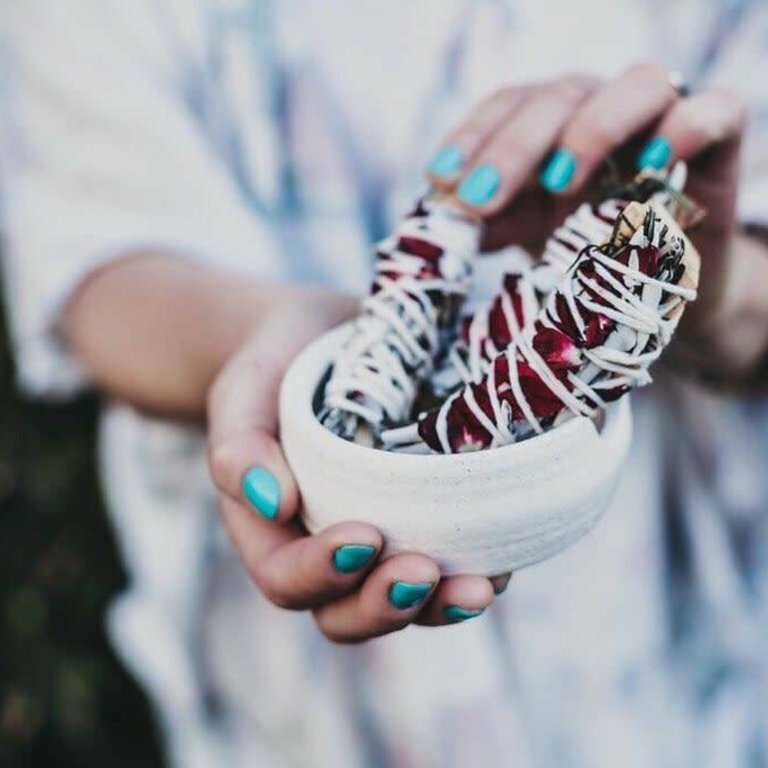 They’re guaranteed to clear negative energy from your home, office, car and soul, and also, they smell incredible!! Each bundle includes a How-To booklet, for easy smudging. 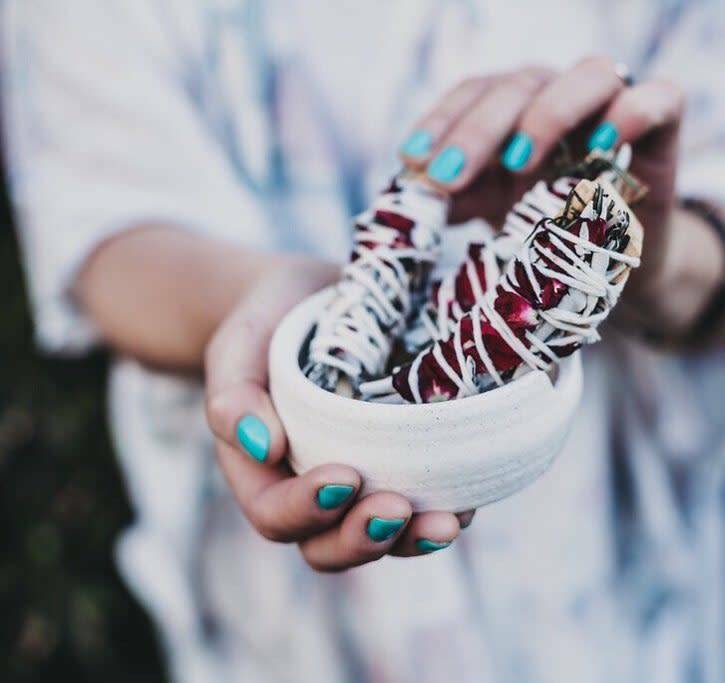 Purchase with our Smudge Dish to save some money and complete your smudging ritual. Includes bundle only, dish sold separately. 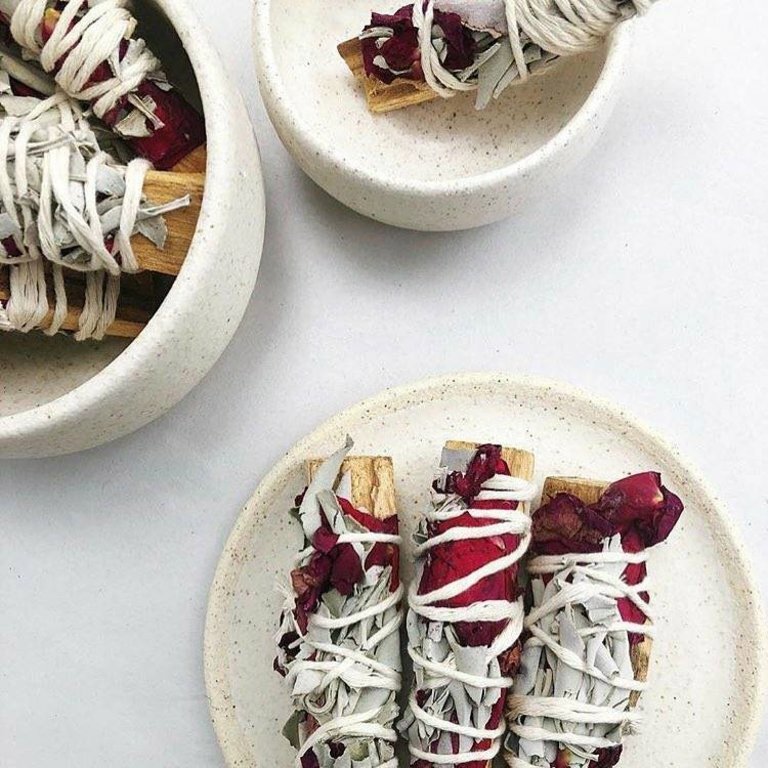 This Smudge Dish is the perfect palo santo and sage burner bowl, to start your smudging ritual! Our Abalone Smudge Dish is the perfect piece to add to any home decor. Our Palo Santo wood is ethically-sourced from a private partner in South America - each piece has been aged a minimum of 3 years, to ensure the wood oil is potent.